To celebrate the brand new 2018 itineraries available from Southampton, MSC Cruises is offering a complete cruise experience on 22 sailing dates from April to October 2018. 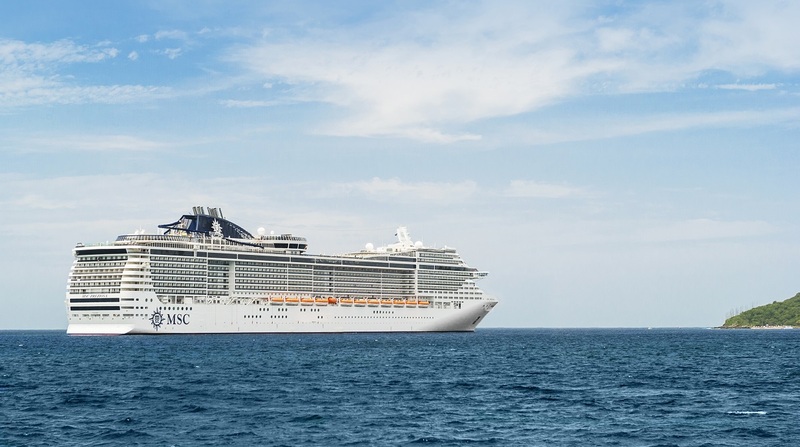 The cruise experience, which will see MSC Magnifica depart direct from Southampton, will include the amazing all-inclusive drinks package, as well as free Wi-Fi throughout your voyage. The all-inclusive packages are available on the Fantastica experience and include other amazing benefits such as free 24-hour room service, a fresh continental breakfast in your cabin; a prime location cabin situated on the upper decks, 50% off fitness classes and free activities for the kids. The all-inclusive drinks package includes beers, wine, top-name spirits, cocktails, speciality teas and coffees, plus soft drinks and award-winning gelato for the kids. The Wi-Fi offering allows you to freely browse the internet for your entire voyage giving you access to all your social networks, chat apps, emails, and web browsing, with no restriction on the number of MBs. The cruises on MSC Magnifica will cover Northern Europe and the Mediterranean and include a 14-day sailing calling at Le Havre, La Coruna, Leixoes, Lisbon, Malaga then Amsterdam and Hamburg, and a North Sea sailing which will see the ship travel to Stavanger, Bergen, Olden and Alesund in Norway. MSC Magnifica, which combines the relaxed sophistication of the Musica Class with the variety and opulence of the Fantasia Class ships, boasts 5 gourmet restaurants serving food from around the world, 12 bars and 5 different Kids and Teens clubs with their own themed venues. In addition, the award-winning MSC Aurea Spa brings you the only Balinese Spa at sea and their massages and ultramodern beauty treatments including a sauna, Turkish bath, fitness centre, thalassotherapy room and relaxation area are truly unique. Your visit to MSC Magnifica is just one stop away with several great transport options to make your arrival at Southampton effortless. For those driving to the port you can book discounted car parking at the port for less than £8.00 per day with the code MSC2017WAVE, and for those from further afield there are regional flight connections available from five airports across the UK. If you’d rather relax right from your door MSC has partnered with premier coach travel company Eavesway Cruiselink to offer transport from 20 major towns and cities across the UK, including the North of England, Scotland and Wales. To book visit the MSC section on www.eaveswaytravel.com or call 01942 727 985 and select option 1. To secure your place on board MSC Magnifica, departing from Southampton for as little as £619 per person go to www.msccruises.co.uk. All prices are based on two sharing and include a FREE all-inclusive drinks package and Wi-Fi. All offers are subject to terms and conditions, see our website for more details. For more information see www.msccruises.co.uk or call 020 3426 3010.